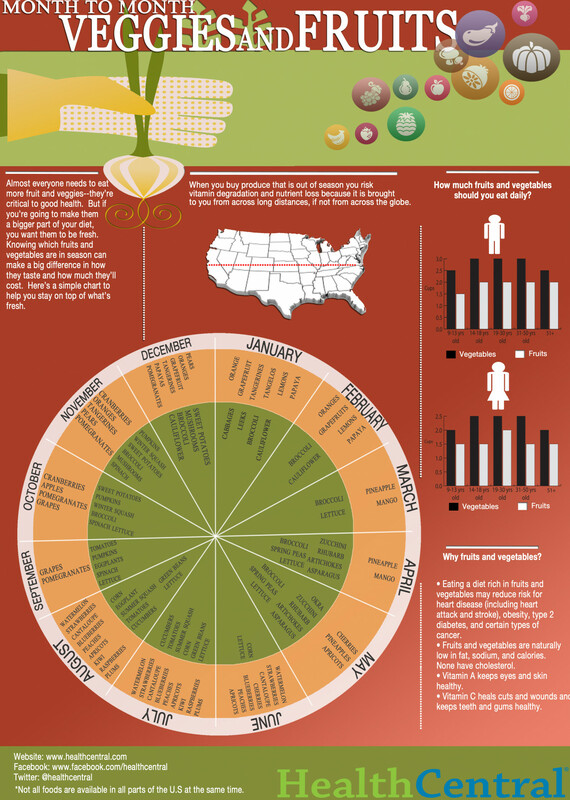 This simple chart from Health Central sets out an easy to follow guide on what fruits to eat in what season. It lays each veg out month to month and gives some simple tips on how to maintain a healthy and seasonal diet. The infographic also offers up some information on how much fruit and veg a person should be eating depending on their gender and their age. Right now the chart says Broccoli is one of the best vegetable choices for March.